Forty years ago the world was shocked by the news that Auca Indians had martyred Jim Elliot and four other American missionaries in the jungles of Ecuador. That was the first chapter of one of the most breathtaking stories of the 20th century. 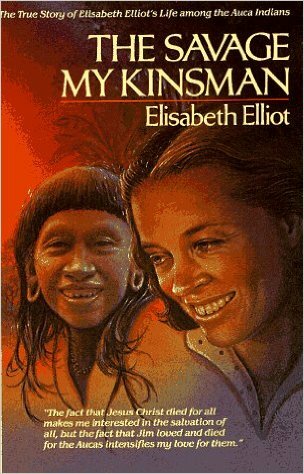 This book tells the story in text and pictures of Elisabeth Elliot’s venture into Auca territory to live with the same Indians who had killed her husband. Elizabeth Elliot was an amazing women who truly wanted the gospel to reach the Auca Indians. After her husband and other men were killed by the Aucas, she decide to try and reach the Indians herself. This is truly an amazing story of a missionary’s sacrifice. The story is well written and I definitely like that it is from Elizabeth’s viewpoint.